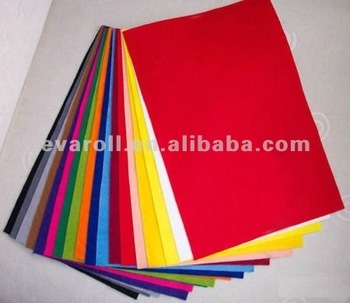 eva foam sheet for toys,all kinds of eva foam sheet are available here ,they can pass ROHS,REACH,EN71. EVA foam(Ethylene Vinyl Acetate) has a closed cell structure,it is environmentally friendly foam material.It can be used for laminate cloth and fabric or paper insole board,thermoforming,die cut or compress formed logos,screen printing,thermal transfer printing,vacuum form and glue coated. Good elasticity and compression,Insulation,Shakeproof,Heat and noise reduction,Light weight and chemical resistant,Antibacterial,Waterproof,Nontoxic,Bright and colorful colors,Suitable for a wide temperature range. Fire retardant,electrostatic prevention,or bulky cell structure.